Littering in the streets is a nuisance which people in our part of the world know a lot about. But while many may express disappointment at such poor conduct, there are some who decide to give people a taste of their own medicine. 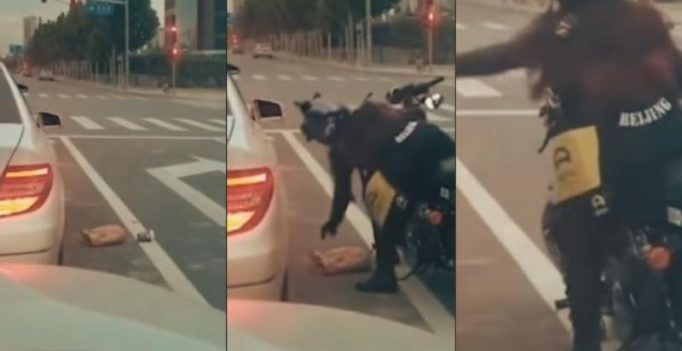 When a woman threw garbage from her car right on the street, she least expected what was going to happen next. A biker who had stopped next to her wouldn’t tolerate this as he picked up the trash and threw it back in the car. The woman was caught off guard and appeared angry as she got out of the car after the biker sped away.